You need an experienced skip bin company offering great prices in Woolooware. 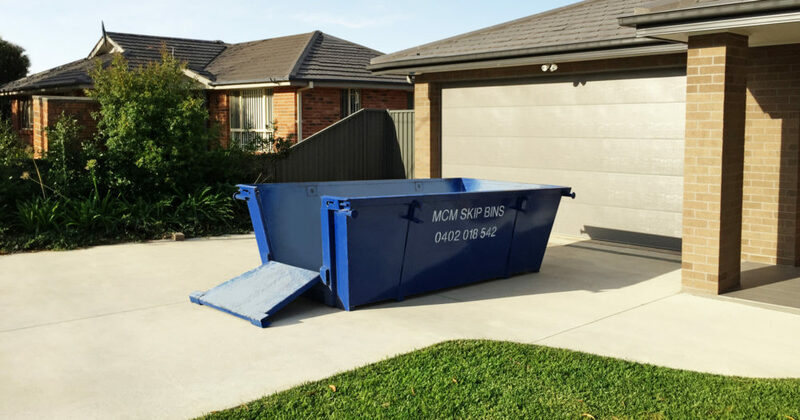 MCM Skip Bins will provide you with a hassle free, efficient and cost effective way to get rid of any waste you have in Woolooware. You breathe easy, our local experience of over 15 years brings you expert advice, fast service and competitive prices. We are proud to include both residential and commercial customers among our Woolooware clientele. For homeowners, we provide skip bins to help remove waste during moves, renovations, clean-ups. For businesses, we can help with removing waste from construction, fit-outs and demolition sites. We are located right here in the Sutherland Shire, so you will never need to pay extra for transportation costs. We live where you live, and that local experience is evident from the moment you get in touch with us. Woolooware is a beautiful, family friendly suburb located approximately 24km south of Sydney’s CBD in the Sutherland Shire. Tree lined streets featuring lovely family homes are dispersed with roomy complexes of villas and townhouses. Woolooware has seen a recent flurry of large renovations or complete rebuilds. Our drivers are in and our Woolooware on a daily basis providing builders and homeowners quick turn over of skip bins for efficient removal of rubbish and waste. Woolooware has seen the recent addition of Woolooware Bay, a collection of new high-rise buildings featuring 1, 2 and 3 bedroom prestigious apartments overlooking Woolooware Bay and Southern Cross Group Stadium home to the Cronulla Sharks NRL football team and Sharks Leagues Club. Woolooware is known for its good schools, Woolooware Public School and Woolooware High School. Local sports clubs such as Cronulla Seagulls Football Club and De La Salle Junior Rugby League Club call Woolooware home. The popular Woolooware Golf Course is located on Gannons Rd. Woolooware has several sets of small shopping centres. Wills Rd, Woolooware is a mix of cafes, gifts stores, take away and a general store all within arms reach of the schools. Woolooware is a warm, friendly community that MCM Skip Bins feel very privileged to work with every day. This lovely area is growing from strength the strength developing, building, and updating to house many families, young people and the elderly.